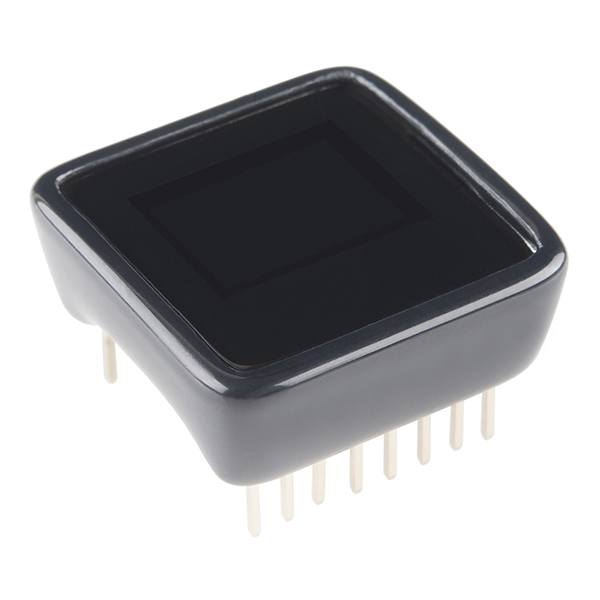 The MicroView is an amazingly small, Arduino compatible, OLED display module that everyone seems to be clamoring for. 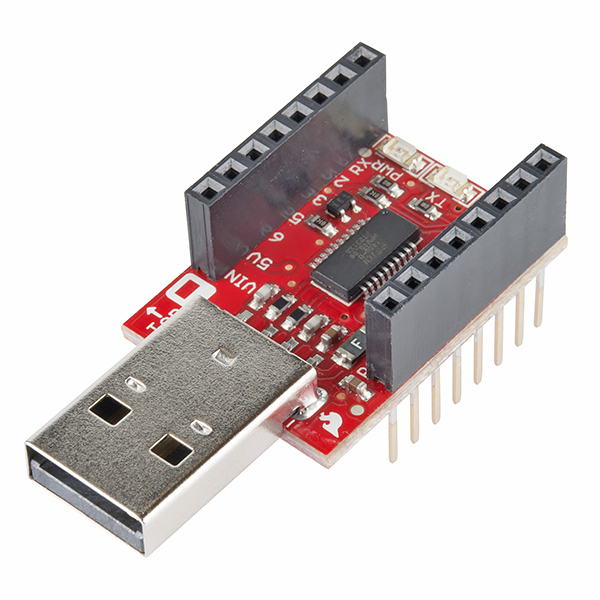 The SparkFun Inventor's Kit for MicroView provides you not only with the MicroView module and its programmer but everything you need to hook up and experiment with multiple electronic circuits! 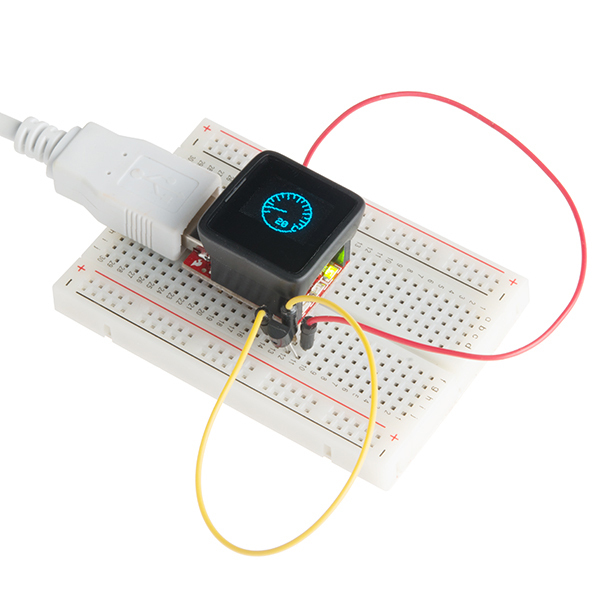 With the MicroView SIK you will be able to complete 11 circuits that will teach you how to write code, read sensors, drive motors, and more while still being able to display information on the MicroView's built in OLED screen. You won't need any previous programming or electronics experience to use this kit but it is helpful to have an understanding of the Arduino IDE. 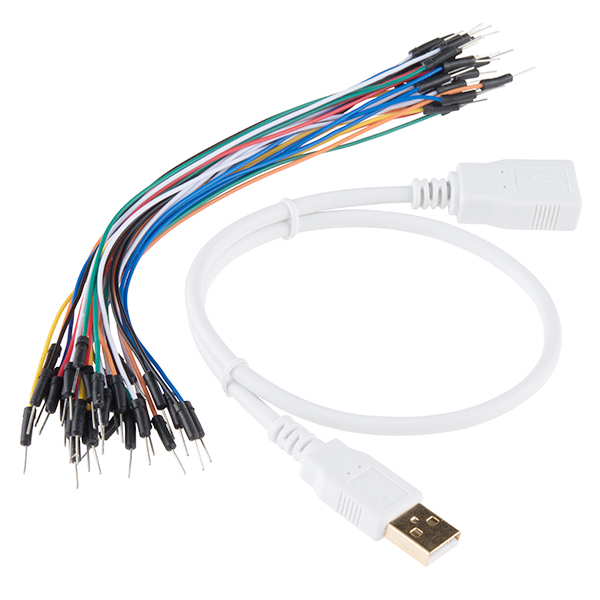 The on-line MicroView SIK Digital Guide (in the Documents tab) contains step by step instructions of how to connect each circuit with the included parts. Full example code is provided and explained and even includes troubleshooting tips if something goes wrong. 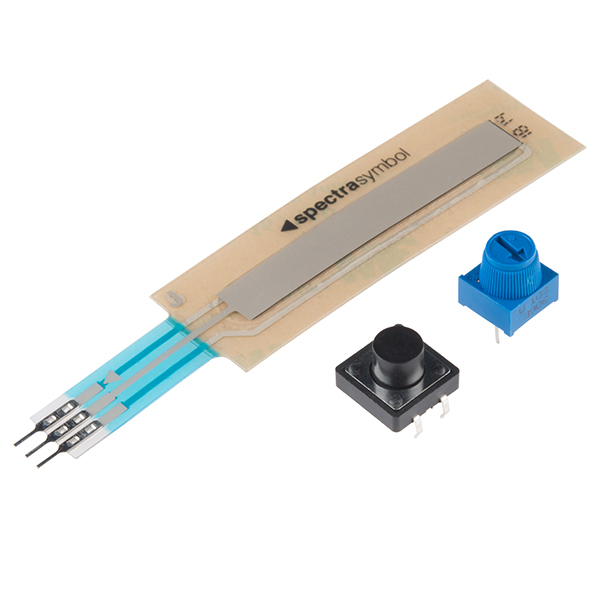 The kit does not require any soldering and is recommended for anyone comfortable reading code libraries or if you have used the original SparkFun Inventor's Kit and are looking for the next step in programming education. It is certainly cute. It makes kids excited. Makes adult take a second look. 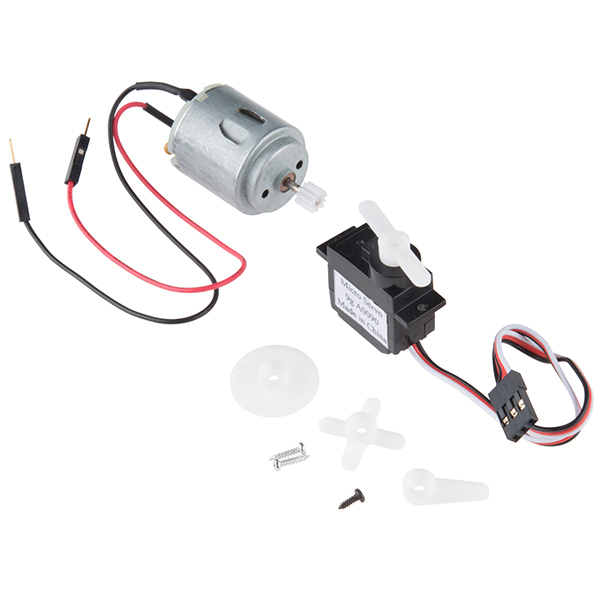 It's certainly cool BUT it is just different enough from Arduino Uno to make for problems. Bit banging on some GPIO can get odd results. It doesn't fail out right, it just either doesn't do what it's told or it gives back weird results. It's not bad though once you understand the differences. The screen really makes it more friendly for a starter kit. Good way to learn arduino programing. Samples are easy to follow and allows feedback on screen. Its a nice kit, but I've found numerous errors in the code in the first three experiments alone (only ones I've done so far). Hi there, sorry to hear that you are having issues. We double checked the code on that item and everything checks out on a overall function check. It sounds like you possibly have an issue with the library loading in. I might recommend that you uninstall and reinstall the library for the kit. 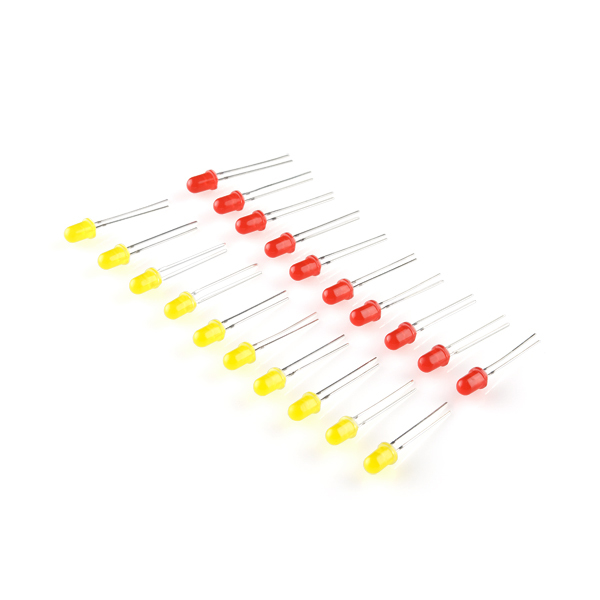 Perfect Arduino for small projects! 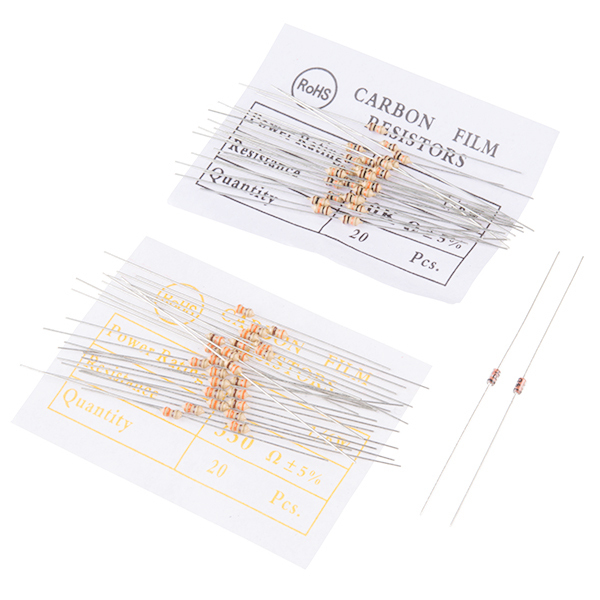 Well integrated package for anyone looking to use an OLED or LCD and the Arduino Uno controller. 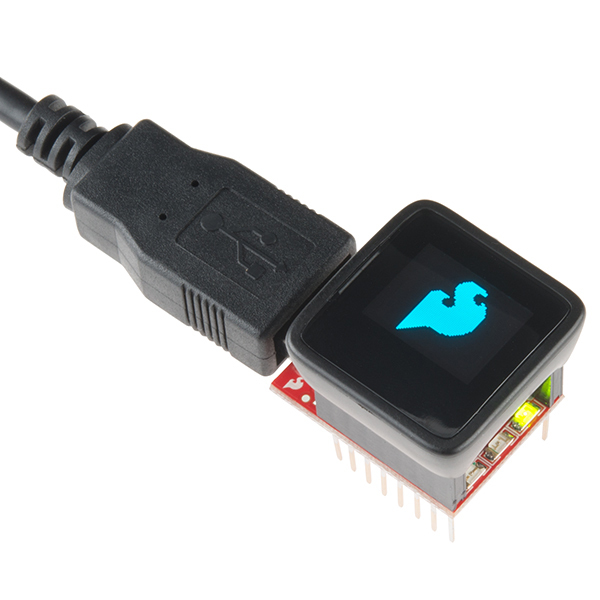 The MicroView is a great way to learn Arduino with it's integrated display. Great way to learn and use Arduino... compactly! When I first saw it online I had thought the MicroView was just a tiny display to use with a separate Arduino... but then realized it has it's own fully self-contained and functional tiny Arduino board, integrated with its own OLED screen, all embedded in an attractive case. 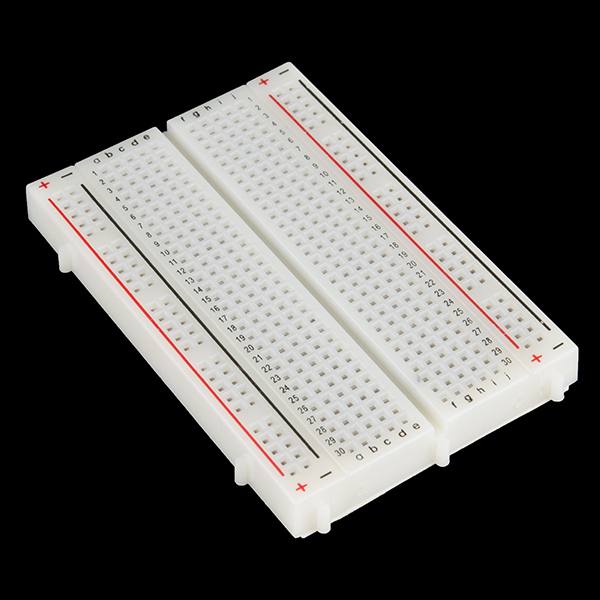 It plugs easily into a breadboard and has enough of the standard Arduino pins available to make it possible to fit an entire Arduino project very compactly on a single breadboard. The only tricky part is figuring out which MicroView pins correspond to the standard Arduino pinouts; there is no pin labeling on the case (you'll need to regularly consult the detailed MicroView diagram in the doc for this). When using the MicroView there should never be a need to mess with clunky 2-line LCD displays on projects. 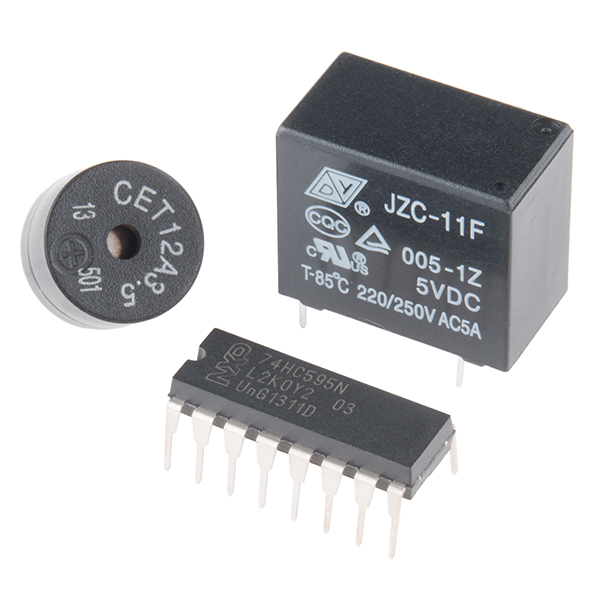 It's easy to program and terrific for monitoring sensor-based stuff. The MicroView Inventor's Kit comes with the USB programmer board and a generous selection of parts... everything needed to do a variety of interesting projects. (And currently at a price that is much lower than buying the parts individually). Kudos to SparkFun! In this Sparkfun red box is everything you need to get acquainted with the possibilities of Arduino + MicroView. 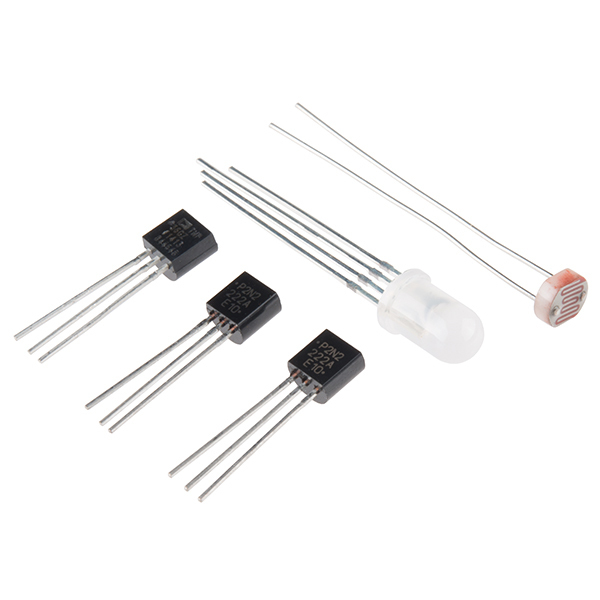 Each of the inventor's kit components gives an easy entry into the possibilities of Arduino + doing something. The MicroView gives a terrific user experience display of the status of the Arduino code as the component does its thing. Each of the tutorial experiments are easy to read/understand, focused and well presented with line by line commenting. Congratulations and thank you to the team that brought this product forward. Got "Hello World" working within half an hour of opening the box. Had lots of fun working through the tutorials, then started working on a face with animated expressions that I could link to sensor inputs. Then I got distracted by an urge to make something pretty and soon had a snowflake generator coded. I encased it in a Lego project box with two large buttons to control symmetry and complexity. The family loved it. The MicroView worked exactly as advertised (only better) and I had it up and running in minutes. The demo code that comes with the library was really useful and easy to integrate. The kit has a good range of bits and pieces to give the MicroView a good workout. 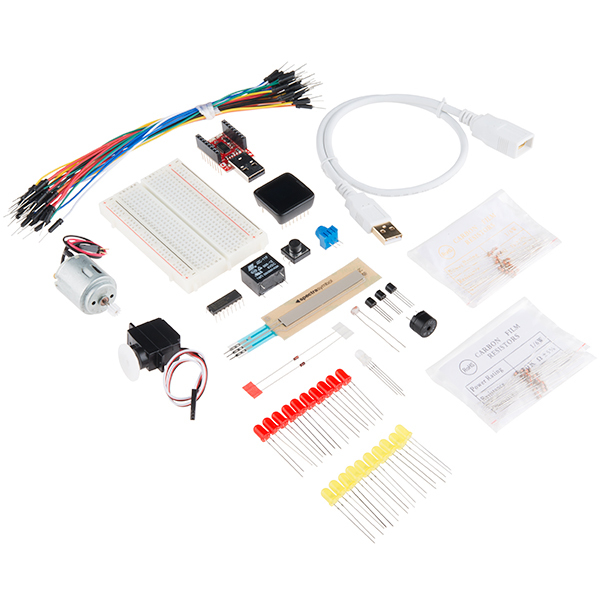 This is a great kit to begin to program and make develop, i think that is very well to kids. the screen look great. Este es un kit muy bueno para empezar con desarrollos., yo pienso que es ideal para motivar a niÃ±os a entrar en el mundo de la programaciÃ³n y electronica. la pantalla luce y funciona muy bien.